Crystal Investment Property, LLC, a member of Hotel Brokers International, announced the successful sale of the Boulder Creek Inn, Donnelly, Idaho. Crystal Investment Property, LLC, a licensed Idaho broker, represented the Seller and Buyer in the sale. Joseph P. Kennedy, President of CIP, worked closely with the Seller, as well as the parties’ other professionals, to negotiate a mutually acceptable sale. The final sale price is confidential. 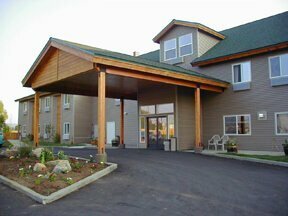 The 43-key property is a four-season interior corridor inn that provides access to year-round recreation in the town of Donnelly, Idaho. Close to nearby ski resorts, many outdoor tourist destinations and offering an array of guestrooms including family suites, kitchenette units, as well as Jacuzzi king suites, the Boulder Creek Inn is able to accommodate a vast range of guests year-round. Thank you so much for your assistance in finding a buyer and making the sale. Thanks for the effort and time you put into assisting us in selling our property.